Student Opportunity: 'Women's Right To Vote!' - Words Matter. Are you looking for student opportunities to sign up for this semester? Vikki Uden of the music department is putting together a collaboration based on the suffragettes which is in need of your poetry submissions. Read on to find out more! Formed by music students of York St John University Kacie Rickells and Vikki Uden, this collaborative project themed around the history of women’s rights is aiming to bring together music, poetry and visual art. Featuring an array of contemporary pieces and artwork created especially for the event by an artist from Dover, Rickells and Uden are hoping to add the final touch to their project with some poems produced by YSJU students themed around the suffragettes. Those entries selected will be performed by students themselves as part of the event to small groups of up to 15 people. The event itself takes place on the 18th of February in the music block at YSJU. Tickets are available along with further information about the collaboration on the eventbrite which you can access here. This is an excellent opportunity for all creative writing and literature students who are interested in performing their poetry. 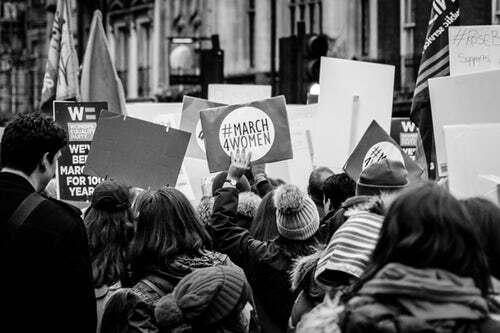 Whether your inspiration is found in the speeches of Emmeline Pankhurst or the women’s marches of 2018, write it down and explore what it is you have to say on gender equality beginning with women’s right to vote. Should you wish to get involved, please send your poetry entries to Vikki Uden at vikki.uden@yorksj.ac.uk. Poems should be no more than 50 lines in length and extracts from favourite materials by published authors are also welcome for submission. Please send all entries by January 31st for consideration. Previous PostPrevious Why Literature? Why YSJ? Recent graduate Becky Lowe explains why you should choose us!